New Year’s Special: server upgrades for free! New Year's Special: Hardware-Raid 1 free of charge! Only for a short time: NO setup fee! New Year's Special: 2 x 3000 GB HDD free of charge! Warning: Additional, free hardware is available for a short time only! From now on the Dedicated Server X is available for 79,99 EUR / month (instead of 89,99 EUR / month). 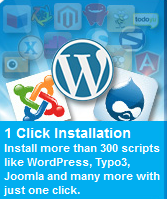 New Year's Special: Now only 79,99 EUR / month! Root servers cheaper and now with free additional hardware: What are you waiting for? Get your new server now! We are happy to announce that you can manage all DNS settings for domains you have ordered at Contabo in the Contabo customer control panel. This new feature is free of charge for you, of course. 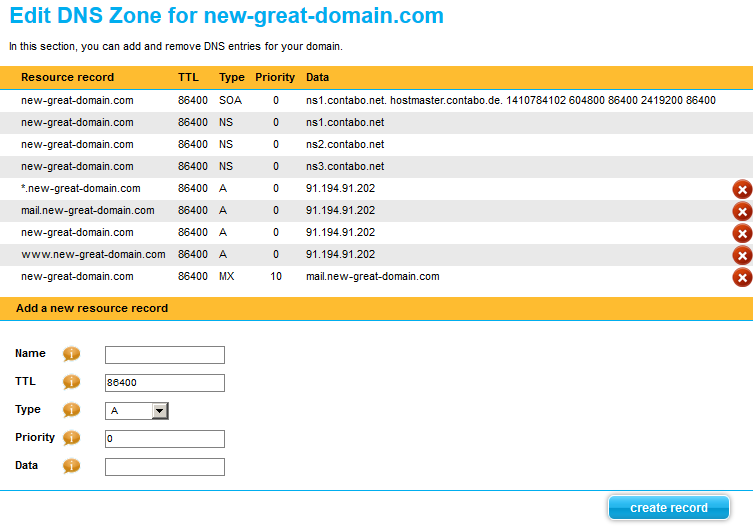 You can find the new settings under "DNS Zone Management", where you can create new DNS entries or modify existing ones. The current settings are correct, naturally, so you do not have to change anything - if you would like to do so, however, you now have the means to. Everything is possible from simple A and MX records to SRV and CNAME up to AAAA records! The Contabo customer control panel is reachable at https://my.contabo.com. With the new DNS feature of our customer control panel, our customers can create as many DNS entries as they like. Just like everything else in the Contabo customer control panel, the DNS feature is free of charge. 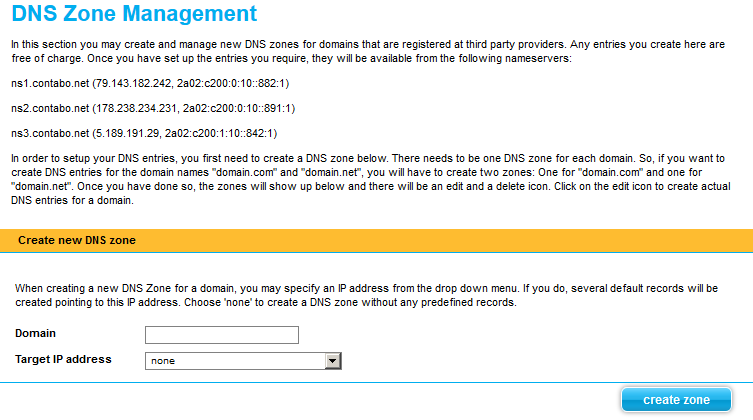 Every customer can find it under the menu item "DNS Zone Management". After you have created a zone for the desired domain, you can add any kind of DNS entry (A, AAAA, MX, CNAME, etc). You can reach the Contabo customer control panel at my.contabo.com. If you need DNS entries for domains which you have ordered at Contabo, simply contact our support department. For all other domains, you can use the DNS feature in the customer control panel.